There are a lot of different factors to consider when it comes to purchasing diamonds. The main thing buyers look for is the quality of the color, cut, clarity and carat of the diamond. You can also add milkiness to the list, as well. However, when it comes to milkiness present in a diamond, it can either be a good thing or a very bad thing. Fancy White Diamonds are diamonds that have a milky, snow-like color to them. 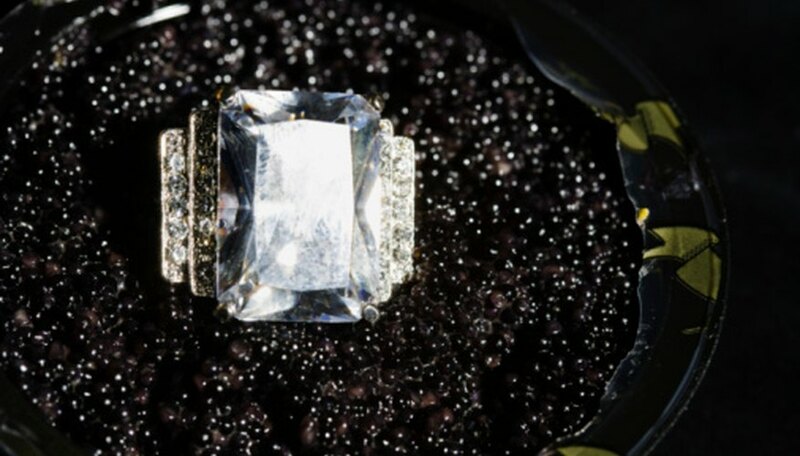 According to the Diamond Source in Virginia, these diamonds "contain a high concentration of submicroscopic inclusions that scatter light" causing the milky color inside the diamond. Although these stones do not sparkle and shine like a "colorless" white diamond, these diamonds can still be quite beautiful. Because of their rarity, these diamonds can become quite pricey. For these diamonds, the milkiness is considered a valuable aspect. Opalescent diamonds have a milky color and are similar to fancy white diamonds. Like the fancy white diamonds, the milkiness is what makes the opalescent diamonds rare, but these diamonds are not just white. The way the light hits the stone causes different colors such as pinks, yellows and blues to be seen in the diamond. Although very rare and often expensive, these diamonds are not the same as colored diamonds that come with an even higher price tag. A diamond with a strong florescence can also cause the diamond and its color to appear clouded or milky. When under an ultraviolet light, the diamond will naturally glow with blue or yellow hues. The stronger the florescence of the diamond, the more milky the diamond will appear to be. Although a diamond with a strong florescence is not necessarily ideal, these can still be quite beautiful, and to the naked eye, the milkiness isn't that apparent. There are diamonds that appear to have a milky color because they are not of good quality. If you look directly into the center of the diamond, the diamond should act like a mirror and you should see a reflection of the area behind you. If you look into the middle of diamond with bad quality, you will not see any reflection but a dark, milky center of gray or sometimes a dirty yellow color. These diamonds will typically have poor color, cut and/or clarity, and are not considered to be ideal.